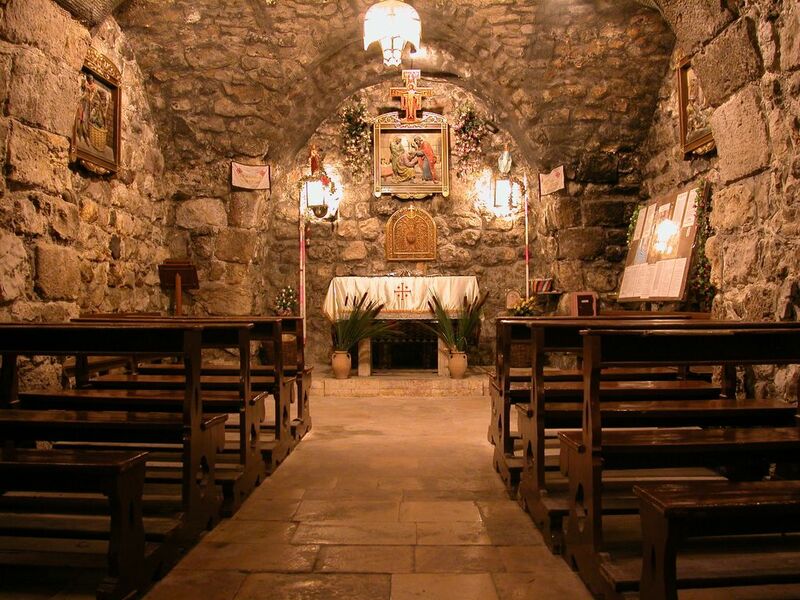 An ancient underground structure in Damascus, Syria, thought to be the home of Ananias of Damascus, where Ananias baptized Saul (who became Paul the Apostle). There are many ways to observe the season of Lent. Some give something up as a reminder of the far greater self-denial made by Christ for the salvation of humankind. Others choose to spend extra time in God’s Word or prayer in order to draw closer to God. 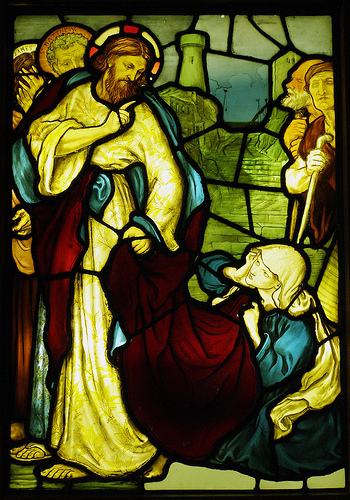 And many see this season as a chance for a deeper form of confession and penitence in order that the joy of forgiveness on Easter might be even greater. Because of the strong connection between baptism and Easter, the early church would often celebrate the baptisms of new believers on Easter, or the days leading up. The 40 day period of Lent was used as a special time of instruction and teaching, especially for those adult converts who were preparing to be baptized. It makes sense then, that this season of the church year is still helpful in many ways today. It is a chance to reflect again on all that Christ has done. It is an opportunity to lay down some things in our lives in order that we might draw closer to the one who laid down his life on our behalf. And it is also an opportune time for celebrating milestones in the faith – baptisms or confirmation. At Calvary this year we will be celebrating the Rite of Confirmation for one of our own students on Palm Sunday, March 20th. And confirmation is just what it says, a chance for an individual to confess their own faith, and have their confession confirmed by the church. Certainly all at Calvary are invited and encouraged to be present for this milestone. One final note on the season of Lent: You may wonder why it is 40 days long (excluding Sundays). 40 is a significant number in the Bible. It is often seen as a number that indicates testing, trial, or probation just before a new beginning. Interestingly, the earliest of Christians believed Jesus was dead in the grave for 40 hours(Good Friday afternoon until Easter morning). The number 40 has held significant importance throughout biblical history. The rains fell on Noah in the ark for 40 days and 40 nights. Moses was on top of Mount Sinai receiving the Ten Commandments for 40 days and 40 nights. Elijah walked 40 days and 40 nights to the mountain of the Lord. 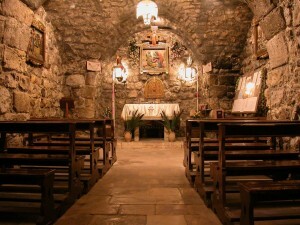 Jesus, most importantly, fasted and prayed for 40 days and 40 nights before starting his public ministry. On October 12, 2016 Calvary will celebrate 75 years of service and dedication to our community, as we remember the very first service held as a church body. This is a very special time in our history and we intend to celebrate it all year long. 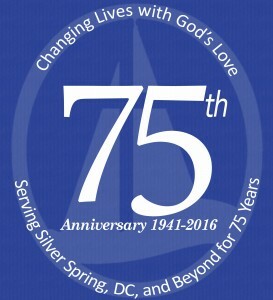 The 75th Anniversary Committee is in the process of planning activities to honor past pastors, members, teachers, students and events throughout the year which will be followed by a 75th Anniversary Service on October 16, 2016. We look forward to receiving any suggestions from the church body; please direct them to EVP, Courtney Fletcher via email. There will be plenty of opportunities for members to lend a hand with the various subcommittees. We’ll need a lot of volunteers to assist with Historical Memories; setup and breakdown for different events, so please be on the lookout for sign-up sheets or the wonderful Committee members asking for your assistance. We look forward to a great year full of memories, celebrations and commitments to another 75 years of servicing our community by Changing Lives with God’s Love. Today is Ash Wednesday which marks the beginning of the season of Lent. Many Christians observe this day by placing an ashen cross upon their foreheads, a practice known as the Imposition of Ashes. 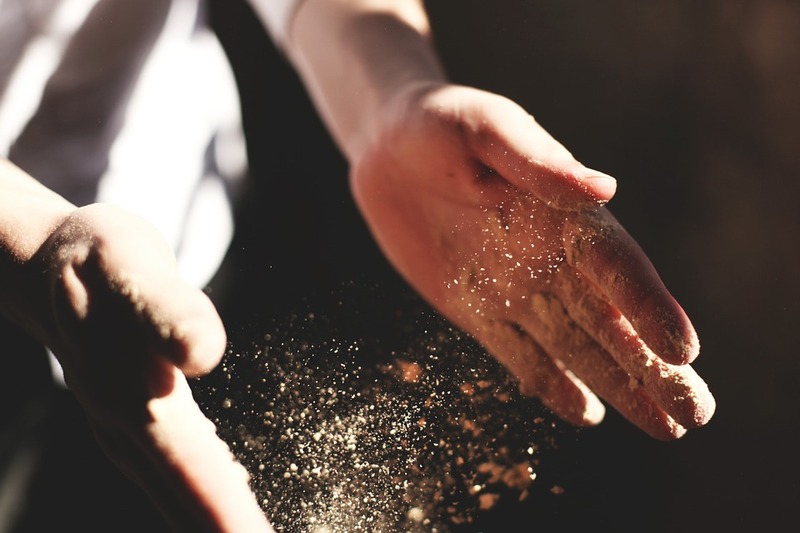 The ashes (traditionally from the burnt palm fronds of the previous year’s Palm Sunday) remind us that God has created us from the dust of the ground, and because of sin, it is to dust that our bodies will one day return. Yet, Ash Wednesday and the season of Lent, while somber in many ways, are also a chance to look once again to the saving work of Jesus Christ. Even as we recognize the greatness of our sin and shortcomings, the greatness of his love for us shines even brighter. Below I have included a Psalm and a prayer for your reflection today. The Lord is merciful and gracious, slow to anger and abounding in steadfast love. He will not always accuse, nor will he keep his anger forever. He does not deal with us according to our sins, nor repay us according to our iniquities. For as the heavens are high above the earth, so great is his steadfast love toward those who fear him; as far as the east is from the west, so far he removes our transgressions from us. As a father has compassion for his children, so the Lord has compassion for those who fear him. For he knows how we were made; he remembers that we are dust. Lord, your love for me is so great, you breath life into my dry and dusty soul. You satisfy my thirst with living water. You anoint my head with perfumed oil. Yes! By your astounding mercy and love, I am no longer dead, but alive! And though I repeatedly refuse your blessing of milk and honey, choosing instead to wallow in the very dust you free me from, each day you lift me up again. I am redeemed by you. May your name be praised, and may my life be a living sacrifice, set apart for your glory! Amen. I really like these words from Robert Lupton author of Theirs is the Kingdom on being used by God even in our brokenness. I once saw a large tree that had been struck by lightning many years before. The trunk was badly split and bent, but the growth of recent years was sturdy and straight. Bark had grown over much of the once-exposed heartwood, leaving the trunk misshapen but well protected. How is it, I wondered that a tree could grow to strength and maturity around such a crippling injury? I once knew a young man born in the inner city. His self-concept was badly scarred from parental neglect, racism, rejecting teachers, and years of failure. His values were deformed by the survival ethic of the streets and by the hurt that had become a burning core of anger. I saw new growth form a protective covering over his open wounds and broken dreams. A strong new character developed, marked with unique sensitivities and perceptions. How is it I wondered, that a young man can grow to strength and maturity around such deforming childhood experiences? I once knew a Christian counselor whose life was marred with sin and whose character was bent toward deceitfulness. He struggled with rebellion against authority. His need for power was intertwined with his efforts to serve. He was plagued with insecurities. Spiritual and emotional growth, as well as years of socialization, largely concealed the kinks and twists at his core. But i knew how gnarled his character was, for I knew him better than anyone. How is it, I wondered, that god could use him to be a healer of others? I have seen God take the broken, deformed things of this world, bless them with new life and sanctify them for his special purpose. From a broken tree, God provides shade in the summer. Form a deeply scarred youth, he forms a person of unusual compassion and understanding, a model of hope to the disheartened of the inner city. From the twisted personality of a counselor, he shapes a healer of emotional pain and uses a rebellious nature for creative purposes. I am reassured to know that the straightness of my grain is not a precondition of usefulness to God. And I am humbled to see that out of the twistedness of my wounds, he designs for me a special place of service. I would add one final story to this list: from a crossed and splintered tree marked with nails and blood, God formed a suitable habitation for a King. From a man outcast and afflicted, God brought forth reconciliation, healing, and renewal for the nations. Surely our God is a God who redeems that which is flawed, His love lifting up the undeserving.